great deal, these are quality and @ £520 is an absolute bargain! "Carcass only - Doors Sold Separately"
More money to fork out? I almost got excited then but it's only for the carcass, then you have to buy the doors another £500 and then you have to buy any rails etc to go inside it which i cannot find anywhere on the site, too much like hard work to me. why does it say 3 door package? for this price, every day of the week you can get a fully functioning and loaded set from ikea. 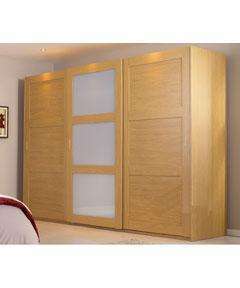 we fitted out 5 door wardrobe, with mirror doors, soft closing dampers the lot for this much? Can someone close the door, it's getting pretty cold in here. As your name suggests, 'useless' comment.